Did you know that all the time and effort it takes to build a positive brand reputation can be ruined by a single bad review on Google, Yelp, Rip-off Report, or Complaints Board? 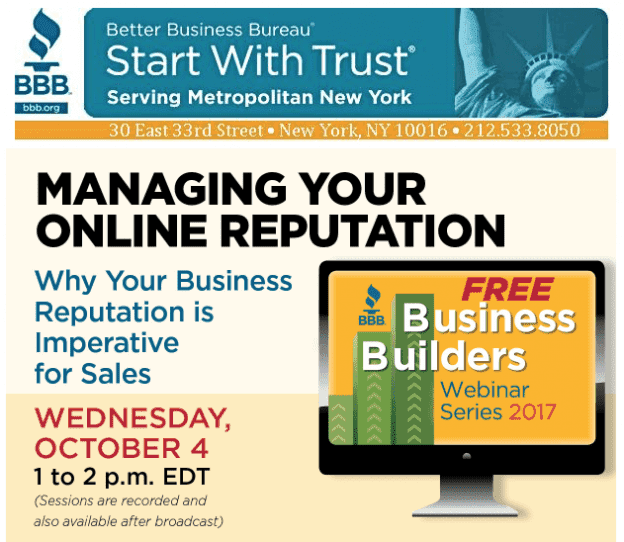 Managing your online reputation is no longer optional but mandatory for your company’s survival. 78% of consumers trust peer recommendations while only 14% trust advertisers. 8 out of 10 Internet Users in the US say that negative information read online made them change their mind on a purchasing decision. Now That Google Is Limiting PPC Keywords, How Do You Market Your Rehab Center? Advertising avenues for drug treatment and rehab centers seem to be growing narrower with time. The powers that be at Google recently implemented new restrictions targeting PPC advertisements for addiction and rehab centers after seeing rising cases of “misleading experiences” in treatment centers. The restrictions have been implemented as a preventive measure against drug treatment and rehab centers with aggressive paid search marketing strategies yet don’t provide the promised services. The soaring rates of drug and alcohol addiction in the US have led to a mushrooming of rehab centers. Addiction treatment has become a booming business with cut-throat competition for patients seeking for help. Addicts or their families always turn to Google and other search engines when looking for help in a rather discreet way. Unfortunately, some of these online searches lead the unsuspecting addicts or their loved ones to rehab facilities that don’t live up to their promises. Google recently acknowledged this problem and began limiting ads that show up when a user searches for addiction treatment and rehab centers on its search engine. According to Elisa Green, Google’s spokeswoman, the decision to restrict rehab PPC ads was reached after they found “misleading experiences” in a number of drug treatment centers advertising on their platform. The decision will, however, limit a majority of small-time rehab centers seeking to get a piece of the $35 billion addiction treatment industry. Facing Addiction’s co-founder, Greg Williams says the move by Google is a strong statement on the importance of people’s lives over the pursuit of profit. Google is now clamping down on any ad that shows up when a user searches for phrases such as “alcohol treatment center” or “drug rehab.” They are not even selling ads related to the phrases or the keywords anymore. So which other marketing options does a rehab center have after the recent Google’s restrictions? Where should rehab centers focus their online marketing efforts now? The delicate nature of drug and alcohol treatment centers demands a precautious approach in marketing. You cannot employ all-too-aggressive or intrusive methods in your marketing efforts but you still want to reach as many individuals in your locality and beyond who need the services you provide. It is a delicate balance between maintaining your fine reputation as a center that does not market aggressively and attracting more clients so that you can keep on doing the good work. Search engine optimization (SEO) provides a perfect solution to this marketing conundrum. SEO is more targeted than other forms of advertising. It helps you rank high for search terms or keywords related to your treatment center, giving you a good opportunity to immediately reach individuals who are actively seeking for your treatment and rehab services. With SEO you can market your rehab services consistently without appearing like you are doing it too aggressively. So far, SEO is still one of the most cost-effective methods of making sure your drug treatment and rehab center is found by potential clients via search engines. 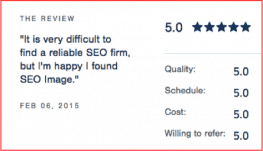 Call SEO Image the Best SEO Agency in NYC based on reviews. Due to the embarrassing nature of addiction, most people seeking for rehab facilities prefer to do it discreetly via Google and other search engines. It is therefore important to ensure that your website appears in the first few results that come up when a person searches for related key terms such as “rehab centers in [your city or region]. SEO provides the easiest way to get there. SEO is completely unobtrusive but ensures that your treatment center is easily found by people in need of your services. 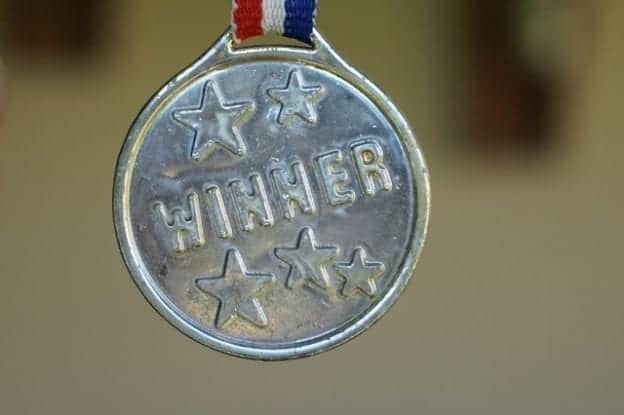 So how do you employ SEO strategies effectively to rank your center’s website on top search engine results? Well, SEO is a broad concept involving numerous on-page and off-page strategies to not only ensure that your site ranks well but to have an edge over your competitors too. However, some of the best SEO practices include optimizing for specific keywords that are related to your rehab treatment center. The strategies you use in optimizing for specific keywords depend on the services you provide. For instance, do you treat addiction to drugs, alcohol or both? Does your center have a holistic or 12-step approach of treatment? Where are you located and which words or phrases do people in your city or region use when referring to the region? 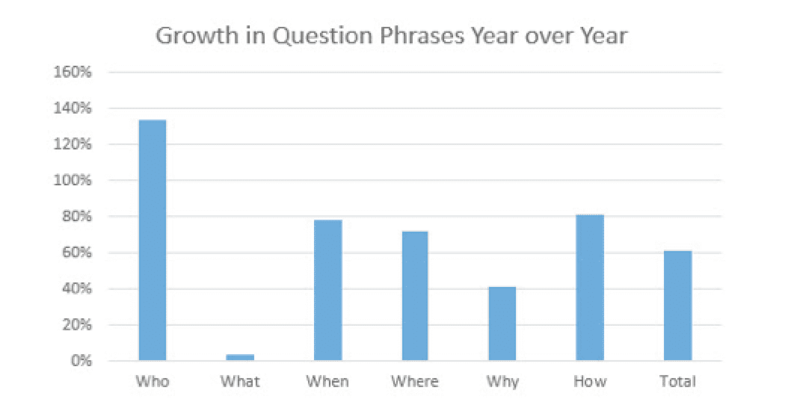 The answers to these questions will determine the SEO strategy you employ, especially the keywords you need to rank for. Another key factor in SEO is the content you have on your website. Google ranks websites primarily on the relevance, value, and usefulness of the content they publish. It actually makes no sense to spend time and resources to rank a site that does not provide enough value to convert visitors into clients. In as much as your goal is to make people seeking for addiction help fill your contact form or call your center, it is important to have useful content that is convincing enough to make someone take the desired action. Publish different types of content targeting different types of addiction patients or their loved ones. Having a different page for each service that you provide is always helpful. Lastly, make sure your rehab center is registered with Google My Business. This helps you to reach users searching for rehab services in your area. Most people seeking addiction treatment for themselves or their loved ones are likely to use location-based searches for treatment centers close to them. Google My Business allows you to list your treatment center’s name, physical address, telephone number, and office hours from a single convenient location. Remember to connect your center’s Google+ page with Google My Business. Another advantage of using Google My Business is mobile search. Your website will easily be found by anyone looking for a rehab center in your neighborhood or city via mobile. Keep in mind that close to 50% of searches today are done on mobile devices. With the right drug and alcohol rehab SEO practices, you’ll soon start seeing more website traffic, more phone calls, and an increased number of contact forms being filled by potential clients. SEO helps you reach more people looking for your help via search engines in a useful and unobtrusive way. When done right, SEO is significantly less expensive than PPC, which is no longer viable given the latest restrictions from Google. Marketing a drug and alcohol treatment center is a delicate issue. You don’t want to be too aggressive or intrusive in your advertising methods, but you still need to reach a wide audience of potential clients in need of your rehab services. There are many strategies you can use to generate leads for your treatment center without appearing overly aggressive including social media marketing, SEO, PPC, Reputation Management, and email marketing just to mention a few. However, we believe that the right combination of search engine optimization for your website and paid search or PPC (Pay Per Click) will provide the most cost-effective and natural way of generating quality leads. With organic traffic, you’ll reach more people who are actively seeking for assistance to overcome alcohol and substance addiction for themselves or their loved ones. A large majority of individuals seeking help for their addictions prefer to do it discreetly for obvious reasons. Most addicts will look for treatment through search engines such as Google and Bing. A recent survey showed that 49% of searches for alcohol and drug rehab facilities on Google are done on mobile devices. Over 33% of patients searching for addiction treatment via mobile devices will schedule an appointment. This makes Pay Per Call an effective option. Conventional marketing and advertising methods such as TV and newspaper ads are no longer as effective as they used to be. They are not only more expensive, but they’re gradually losing popularity as the world becomes more digital, especially in the mobile sector. 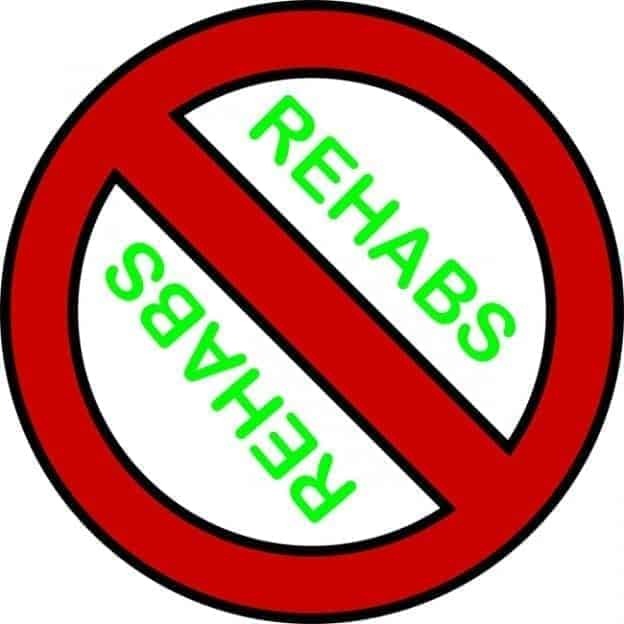 It makes no sense for a rehab facility to spend thousands of dollars on advertising when that money could have been used for more useful purposes such as improving the facility and treating patients. Digital marketing techniques such as SEO and Pay Per Call provide a more cost-effective way of generating rehab leads than traditional advertising. 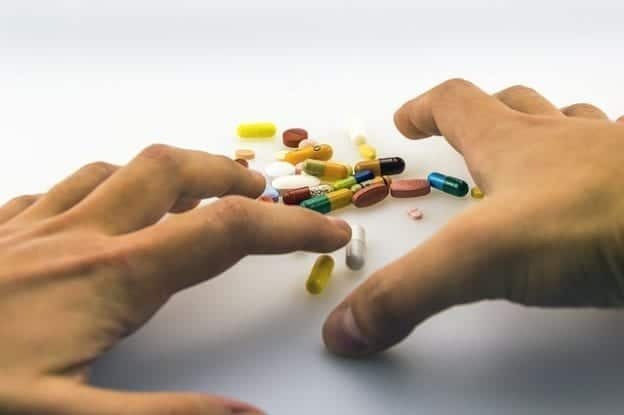 Google and Compete did a comprehensive study on September 2012 titled Treatment Center Study to determine what influences people suffering from addiction to seek treatment and how they choose a rehab facility. Leads generated from online search are two times more likely to convert. The goal of SEO for your treatment center’s marketing is to increase website traffic, reach a wider audience of people in need of help, have more people filling your contact forms and calling your center for assistance. Instead of spending a fortune on untargeted advertising, or PPC for reputable recovery centers, you can rely on SEO to rank high on search engine results for keywords that are relevant to your services so you can reach a highly targeted audience. One of the key benefits of SEO is increased visibility of your website. With better rankings, you’ll benefit from increased organic traffic, leads, and more conversions. 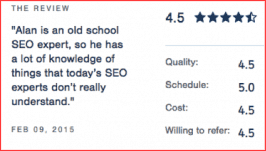 Many in-house SEO’s hired by recovery centers cannot perform at the same level as an experienced agency. Your site’s authority is one of the key ranking factors. Authority is determined by the number and quality of backlinks pointing to your site from other authority sites on the Internet. For instance, if your website has links from news and other high authority websites, Google considers your site as another authoritative source and will reward you with better rankings. However, in the face of recent Google updates, the quality of backlinks that you have matters more than quantity. For instance, 10 high-quality links have a higher backlink value than 100 links from low-quality websites. • SEO helps to improve your site’s user experience. Improving your website’s content is a key SEO factor in your marketing plan. Your content strategy should include relevant graphics and a high-quality design with faster and more efficient page loads. Great content benefits you in two ways. It gives your visitors a better user experience with faster page loads and valuable, relevant information, and secondly, it makes search engines rank your website higher in SERPs. 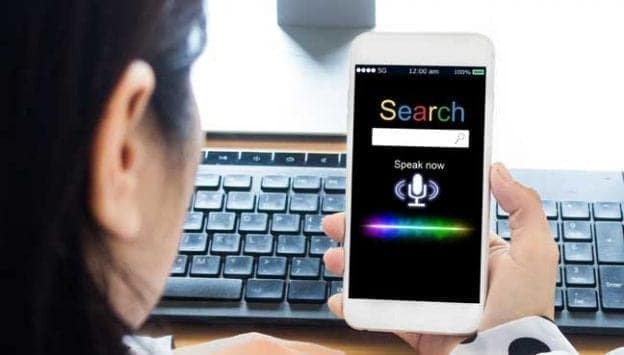 Popular search engines such as Google have complex algorithms that can detect the visitor’s behavior on your addiction treatment and rehab site. If potential clients are leaving immediately after they land on your site, Google will drop your ranking on search results, but if your site is delivering valuable content and better user experience, you’ll be rewarded with higher rankings. When you improve your website’s content, you’ll make it rank higher in search results and generate more leads from organic traffic. The fastest way to generate leads for your alcohol and drug treatment center is through paid search or paid calls. 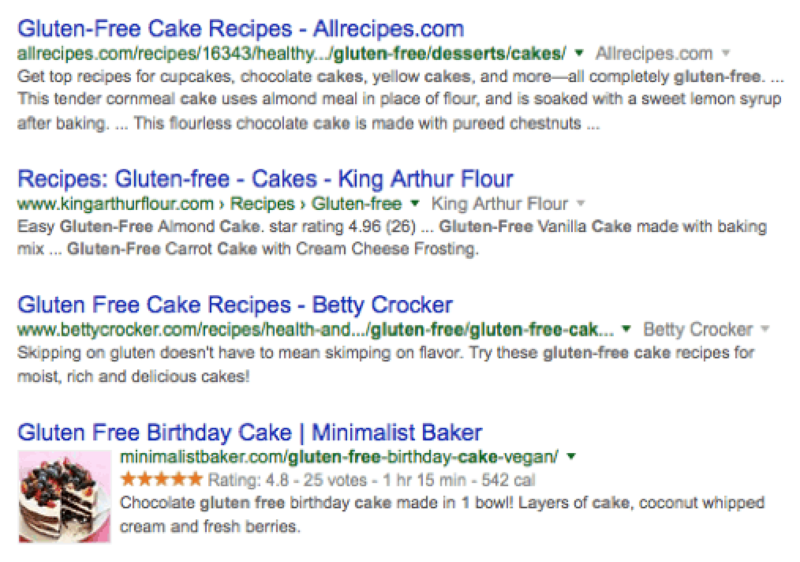 With paid search, your site will appear at the top of SERPs for relevant keywords in just a few days. PPC ads are very effective for most industries but using them to drive rehab center leads presents a few challenges. For instance, Google Adwords prohibits advertisements for drugs or alcohol which means, even though you are not promoting the use of drugs or alcohol, you’ll have to be very careful on how you use the two terms in your ads. With Pay Per Call, you get instant calls from our ads, so assuring you’re targeting good, relative terms is important, especially if you only take PPO insurance or out-of-pocket payments. This make it a harder target as it requires that your addict has one of the better insurance plans, or that he or his family will cover the costs out of pocket, and not all addicts are wealthy. The sensitive nature of addiction treatment services means that you cannot use remarketing strategies to follow people who’d previously visited your site as you would in other industries. Understandably, potential clients would not want to see your rehab ads everywhere they go online. Another key challenge you expect to encounter with rehab PPC ads are the high cost of ads in this category. Drug abuse treatment and rehab terms are in one of the most competitive industries with high bids for the best keywords. It’s common to pay $30 to $80 per click for most keywords. However, high competition proves that PPC not only works but delivers qualified leads as well. Using Pay Per Call can help turn these clicks to instant calls to your admissions or help center. Research shows that 49% of drug and alcohol rehab center searches are done via mobile devices. 33% of mobile searches result in an appointment. So make sure you give them the ability to click to call from your mobile site. 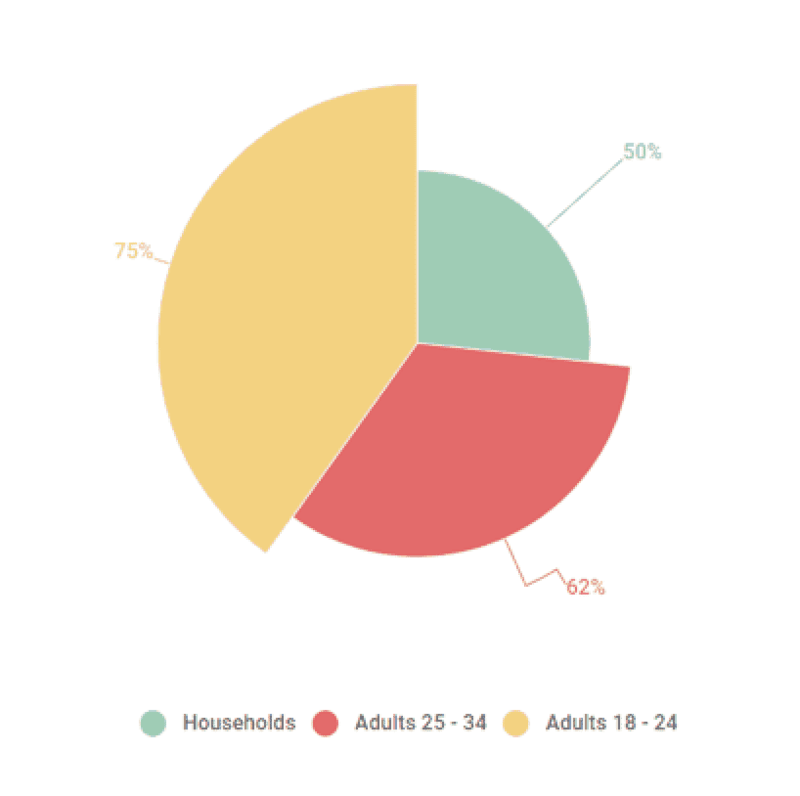 These statistics go to show how important it’s to make your website mobile friendly. Due to the sensitive nature of drug and alcohol abuse treatment, most patients find it easier to schedule an appointment on their mobile devices than desktop platforms. This means that mobile ads convert better but does your website provide good mobile experience? Is it easy for potential clients to click and call your facility straight from their smartphones or tablets? Ensure that prospects can click to call straight from the mobile advertisement. More importantly, keep track of your mobile PPC stats and analytics to determine your ads performance. Ad relevancy is critical in PPC, especially with Google Adwords. You need to pay special attention to the keywords you use and ensure that they are both relevant and compelling to the visitors. Have the keywords in your ad’s title and body. If you analyze most rehab ads, you’ll notice that they include words like “rehab” and “drugs” in the ad copy to ensure relevancy. Strive to look for better keywords than the rest to reach an even wider audience at a lower rate. It is often difficult to create compelling ads with the tight character limit allowed by Adwords and other PPC companies. The trick is to be as concise as possible. You can also use Google Ad Extensions to get more online real estate to promote your treatment center. Take advantage of other options such as Call Extensions, Sitelink Extensions, and Location Extensions to get the most out of your PPC campaigns. All these elements can help to give you lower costs for each click and higher click through rates. Attention spans are naturally short, and people easily get distracted. If an internet user searches for a specific topic and lands on a page that is too generalized or is not related to the keyword they searched for, then they’ll naturally disconnect, click the back button and probably go to your competitor’s page. Ensure that your landing page has information relevant to what the user is searching for. If your ad is targeting people seeking for alcohol addiction treatment, create a landing page specifically for alcohol abuse treatment rather than a page with generalized substance abuse treatment. Create specific pages for specific groups such as teenagers, men or women. Create relevant landing pages to avoid disconnects which could potentially hurt your ROI. Ensure that your ads are geo-targeted. People will always want to check into a rehab facility in their locality. Your ad copy should be designed to reach out to your local traffic for the best results. You can include the location in your ad copy or use location extensions. Geotargeting improves your ads relevancy and visibility to potential clients searching for treatment services with a local keyword. The more people who’ll see your ad, the more leads you are likely to generate. When done properly, Pay Per Call, SEO and PPC will provide effective ways of reaching out to potential clients seeking for drug and alcohol treatment services. However, to ensure that you are generating qualified leads instead of throwing money down the drain, you need to work on your landing pages. If considering Pay Per Call, then you will get instant calls to your center. Pay close attention to your Call to Actions (CTAs). Put your contact phone numbers in multiple locations and ensure that you have contact forms on each page. Include Live Chat in your pages with active staff ready to handle any question that the potential clients may have. All these lead generation elements can be monitored and tracked to determine how good or poorly your campaign is doing. Since 2002, SEO Image has many years of experience helping small, mid, and enterprise level clientele develop strong search engine strategies to build their online presence and improve brand awareness. As demand for SEO services continues to rise, competition has also increased, and a buyer can struggle to effectively identify a reliable and experienced partner in such a crowded marketplace. Fortunately, we have the opportunity to stand apart from the rest through our partnership with Clutch, a ratings and reviews platform and market research firm, based in Washington, D.C. 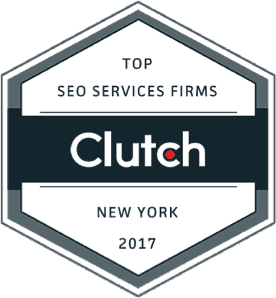 In one of Clutch’s regular reports that compiles research on the top performers across their directory, SEO Image is honored to be featured as one of this year’s Top SEO Services Firms in New York City! Once a company creates a profile on the site, they are ranked according to Clutch’s proprietary research methodology, which incorporates a variety of factors. Specifically, SEO Image was evaluated according to our reputation in the industry, the caliber of our clientele, as well as our ability to clearly demonstrate our strategies and deliverables. As a result of this research, SEO Image is listed in the NYC SEO Services Firms Leaders Matrix. As ratings and reviews play an increasingly central role in the consumer journey, Clutch has leveraged this trend for the B2B space. 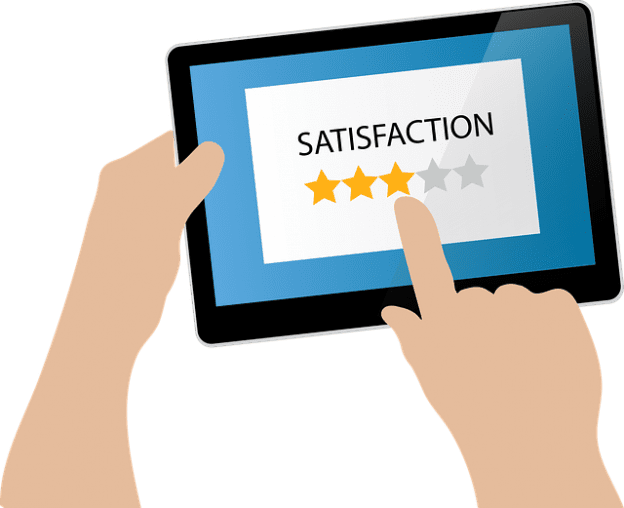 As opposed to a short testimonial, Clutch analysts speak directly with a company’s clients to understand the full scope of the services provided by a company, resulting in highly comprehensive reviews.